Buried secrets, murder and a trail of bloody clues lie at the heart of Anthony Horowitz's new detective series. If you enjoyed BBC's Sherlock, you'll love The Word is Murder! A wealthy woman strangled six hours after she's arranged her own funeral. A reluctant author drawn into a story he can't control. Although I persisted I lost interest in this audiobook very early. Both the major characters are dull and somewhat two dimensional as are the minor character. The story meanders but doesn’t really go anywhere to the end when multiple twist occur. There are a lot of minor character and because the story dis boring and somewhat disjointed it can at time be hard to follow as I kept finding my mind going elsewhere. Disappointing! 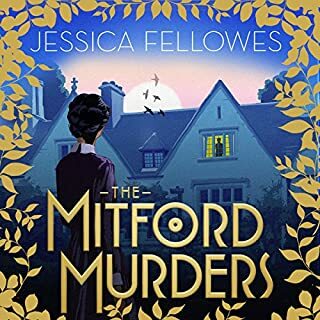 I tried this book because I really enjoyed magpie murders and house of silk but this one is quite different and not as enjoyable. So clever. So, so clever. Well done Mr Horowitz. This is a memorable book deconstructing and then reconstructing the art of writing a murder mystery. It is so cleverly done, that the red herrings and blatant clues become substituted for each other until you try to second guess yourself. I take my hat off to you Mr Horowitz. Your servant Sir. A fun 1st person narrative, modern take on the classic who dunnit. The narrator is a tad weird when doing women's voices. What made the experience of listening to The Word Is Murder the most enjoyable? 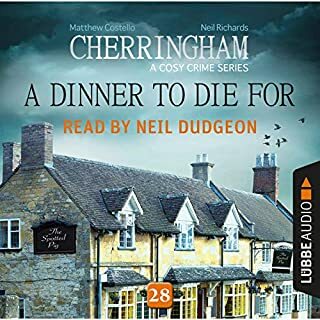 The perfect matching of a storyline by Antony Horowitz and narration by Rory Kinnear made this an absolutely pleasurable experience. 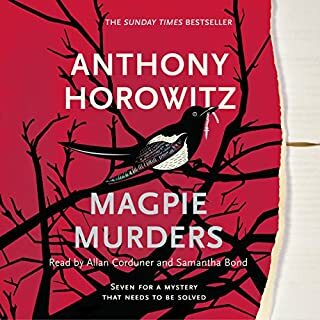 Anthony Horowitz brings his vast experience from film, TV and his children's books to create a really novel (pun intended) story which keeps its secrets right to the end. One of his best. What other book might you compare The Word Is Murder to, and why? 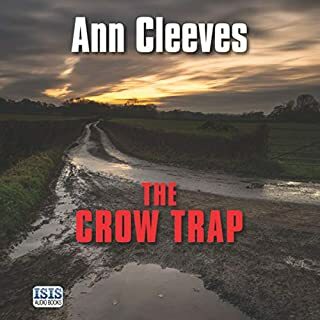 Very comparable to Magpie Murders (another Horowitz hit) in the way it brings the reader/listener into the plot. What about Rory Kinnear’s performance did you like? Superb narration. The character voices were totally believable and added atmosphere to the storyline. 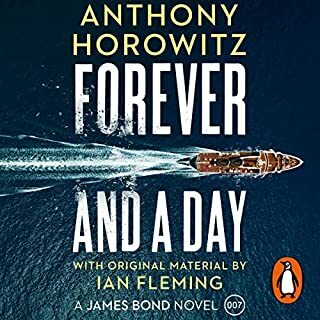 With a great range of credits to his name, I now make a point of looking out for books/audiobooks from Anthony Horowitz. With a delicate touch and a strong current of self mockery, Tony Horowitz takes the mickey out of detective fiction. By portraying as a ‘true’ story, and soaking it through with contemporary references to popular culture, he slowly pulled me into a captivating story. Then he steadily descends into subtle farce. The portrayal of the funeral and various family homes visited particularly set the flavor of the book. The denouement acts like the red nose on a clown. It signifies what we are reading. I got through my listen in 2 days; a clear sign of engrossed enjoyment. I recommend the fun. So clever of Horowitz to use crime writing as the premise, casting himself as a Watson character was inspired..loved Hawthorne...reader was brilliant. This would have been a good story if not told by the author! Too much about himself detracted from a good plot! Sorry Anthony! Cleverly done; what is real and what is not? I had to finish this quickly. This book blurs the line between the writer and the story he tells. It is both an intriguing mystery and a reflection on the writing process. I have read and watched a lot of Horowitz's previous work but I don't think that is necessary to enjoy this book. The fictional detective Daniel Hawthorne is a fascinating character and his relationship with the author is an interesting take on the Holmes/Watson dynamic. Unlike most other literary chroniclers in this genre, Horowitz's fictional self struggles to get inside Hawthorne's head rather than just reporting his words and actions, and I found myself eager to find out more about him as well. The mystery is well-crafted, with all the details coming together in an ending in which Horowitz pokes fun at a few murder mystery clichés. The narrator Rory Kinnear does a wonderful job of bringing the varied cast of characters to life. 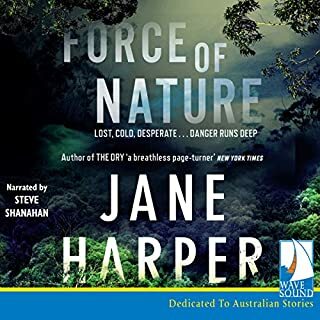 It is written and narrated in such a way that listening to this audiobook was like watching a movie unfold in front of me; I was tremendously entertained and I would welcome more Hawthorne and Horowitz investigations. A masterfully crafted book by Horowitz and shifts the genre of whodunits by blending in fiction with non-fiction. 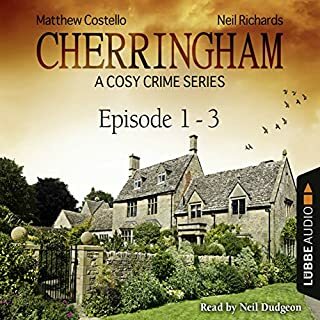 The central protagonist is the author himself here and over the course of the book, weaves in a murder mystery skillfully introducing the grump detective Hawthorne and a paraphernalia of characters, Christie-style with Holmesian bits thrown in. All in all, a fine and dandy book to read and would tax your grey cells a bit. 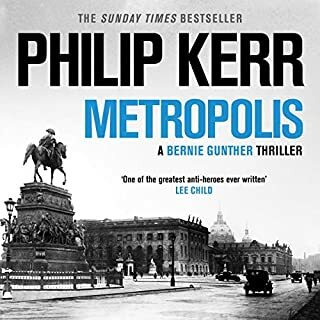 I bought this based purely on the rave reviews, having never encountered the author's work before, but just couldn't get past the first hour. This is not at all the kind of book I was expecting; it reads like the -very uninteresting- memoirs of a television writer (and going back and re-reading those rave reviews, I suppose that is indeed partly true), and I'm led to believe that this literary device is meant to be somehow &quot;meta&quot;, or &quot;post&quot; or even witty! Sadly, for this reader, it's none of those, it's merely self-indulgent and alienating. The narrator's flat delivery does little to enliven the dreariness. This is my first introduction to Anthony Horowitz. This was a witty fast paced and quintessential British listen. Daniel Hawthorne enters and dominants the book. All the while we know very little about him. In this we are pulled along on the murder of an elderly woman who six hours prior, made her funeral arrangements. There are quite a few family secrets that are revealed. And it goes in directions that are quite unexpected. I thoroughly enjoyed listening to Rory Kinnear. His voice range for male characters was spot on. It was easy to differentiate between characters. He is well-suited for this book. 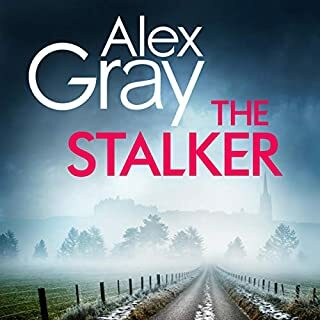 Would recommend to those who love British crime works or those who like mysteries with a literary bent. This will not disappoint. Plus the next book in series is due out later this year. 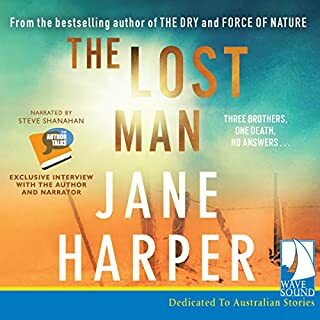 Where does The Word Is Murder rank among all the audiobooks you’ve listened to so far? One of the most enjoyable. I loved 'Magpie Murders' and I truly enjoyed this one, too. Good story, well told and narrated - my kind of thing. Great story line, and an unusual approach, so it's part autobiography and part fiction. I liked Horowitz's musings on the world of literature, film and TV. I'm guessing that a lot of of his anecdotes involving famous names are true. And there are probably some in-jokes that went below my radar. Weaved into this is a great story involving an unemployed detective investigating murder with the help, or hindrance, of Horowitz. 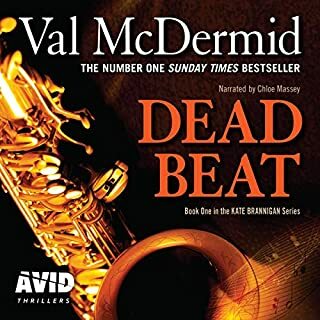 Some red herrings, plenty of clues to whodunnit and some laugh out loud moments as well I have enjoyed Horowitz's other novels, including his Magpie Murders and takes on Sherlock Holmes and James Bond, and his TV series,such as Foyle's War. I'm even tempted to try his Alex Rider novels for teenagers!I could also see this working as a TV programme, which I'd definitely watch. What was one of the most memorable moments of The Word Is Murder? Have you listened to any of Rory Kinnear’s other performances? How does this one compare? Rory was one of the reasons why I chose this book, as he's an excellent actor, whom I can picture while he's telling the story. He can drop into different accents so it's easy to telll characters apart. Also, he does a good line in slightly baffled characters and that perfectly fits the author's role in this novel. Yes, it got me hooked in, and I found myself thinking about the characters and the storyline between listening. Perfect piece of story telling. This little masterpiece is a gem. The perfect marriage of a talented author and a gifted narrator. 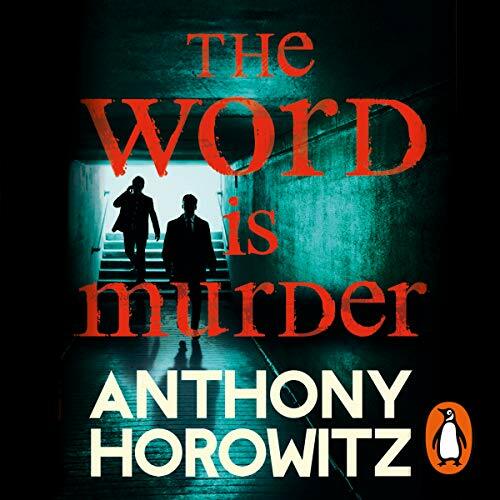 I could listen to Rory Kinnear read Anthony Horowitz all day long. In fact I think I will. I have to say I am really enjoying following this author recently. His latest books have been varied and each has had a distinct character and quirkiness that I have enjoyed. I'm sure that if he keeps up this approach that there will be one that won't quite resonate with me as much as the others eventually, but it hasn't happened yet. In this case he has tried something which I am sure a lot of authors have toyed with but likely been warned off by sensible publishers and editors! including yourself in a work of fiction is certainly a bold step with many pitfalls. Luckily for us I think Horowitz has avoided at least the large majority of them and this emerges as an interesting whodunit in its own right. 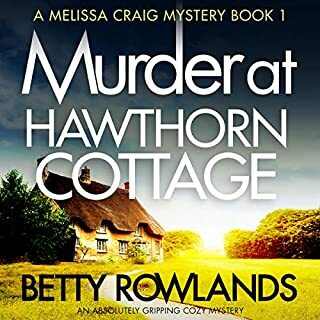 After reading the Magpie Murders I commented then that it felt to me like there might be a hint of the autobiographical about it but this takes it to another level. I couldn't help musing about how much of this was based on the author's real-life experiences. For example did he ever get passed over for a big part in a play? What does add to the interest level though is that the author appears to reveal some of his thinking and while I didn't agree with all the opinions expressed it does add something. Mr Horowitz is clearly on an exciting journey with his writing, I'm really looking forwards to following in his footsteps. Kinnear, is simply perfect providing the voices for this. He is very accomplished making the whole thing a very pleasurable listen. Finally I have to agree with Sarah's review that this does indeed feel &quot;made for TV&quot;, I wonder if that's also part of the intent. 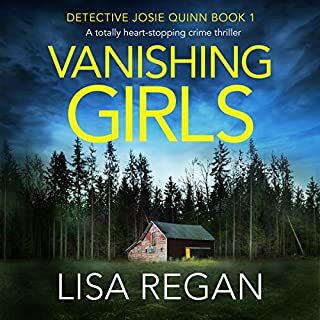 I started this with some trepidation, the idea of a novel with its own writer as a character in a fictional story had the potential to be a bit of a car crash. But he really did pull it off. 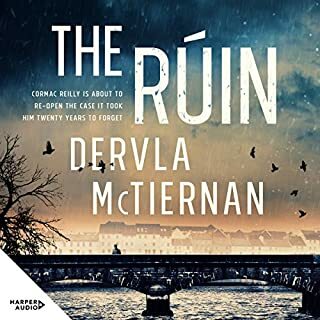 The elements of reality and fiction were pulled together neatly, and I really enjoyed all the overt, and the more subtle, nods to the conventions and the works of the Greats of the Detective genre. Had this been a print book i might have skim read a paragraph here and there and missed an important connection. Kinnears marvelous narration kept me focussed on the intricacies of the plot. This is a very well unusually crafted as well as beautifully written detective story. Horowitz's stories will stand the test of time at least as well as Agatha Christie or Conan Doyle from whom he draws inspiration. I enjoyed this even more than The Magpie Murders, which I loved. Initially I was unsure about the author himself appearing in the book, but I think that this was, in the end, part of the appeal. 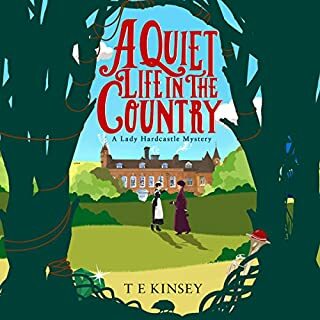 It is a wonderful story, very convincing, and a plot of which Agatha Christie herself would have been proud. Hawthorne and Horowitz make a very appealing detective duo. 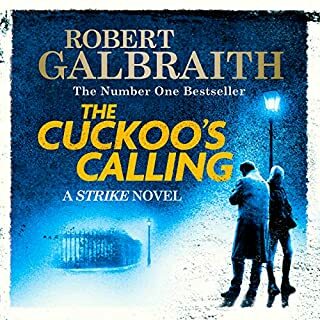 The narration by Rory Kinnear is outstanding, one of the best I have heard. 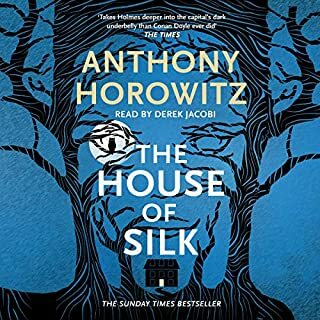 As a whole this book simply left me disliking the author so much I am now going to pass on the house of silk, a book of which I was excited to read as I love detective novels and especially Sherlock Holmes. I found the style childlike, the story hinted at being exciting but simply flopped along and the author came across as petulant, conceited and self centred, wanting to glory in his career, name drop and enjoy others misfortune. It reads like an ode to himself and he sounds an exceedingly irritating boring man, always looking to one up others and have the last word. If I didn't always have to finish a book I would have stopped reading a couple chapters in. Truly disappointing. The narration is the only saving grace, it's well performed. Best book by Horowitz so far! I enjoyed this book immensely! There were a lot of hilarious moments ( especially meeting with Spielberg/Jackson). The collision of 2 so different psycho types -a Jewish writer and a British detective makes their communication particularly funny. I think it a next Woody Allan film. And I hope there will be series of Hawthorn books. Please, Anthony!! Innovative - and is it fact or fiction? 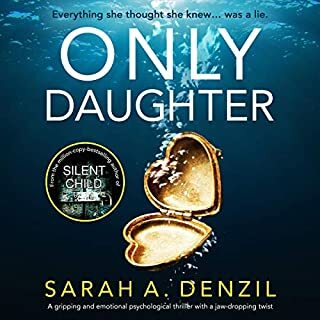 I really enjoyed this book as it had me thinking all the way through - not only about the plot - but also the process and the authenticity of events and the text's narrator.. it was certainly unique, and clever. Rory Kinnear is a fabulous narrator! Would recommend if you like a good murder mystery and like a different approach..